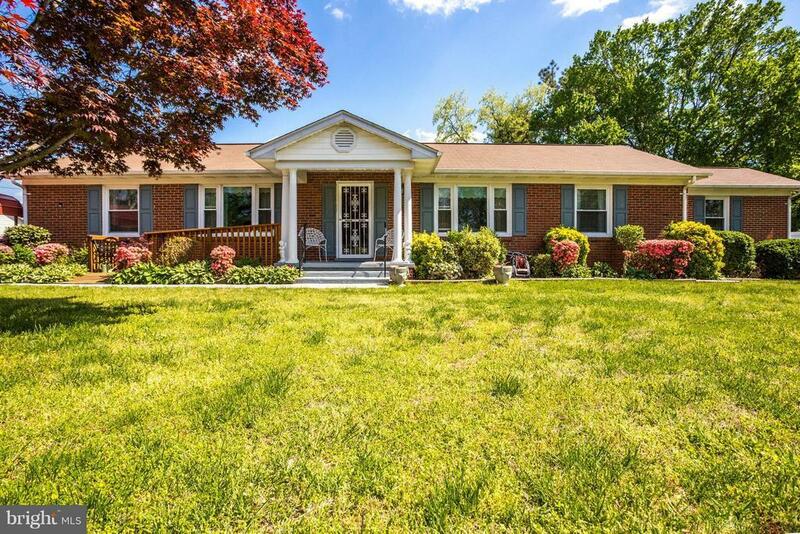 Fantastic handicap accessible brick rambler w/over 2, 100 sq ft living space. Wheelchair ramp leading to covered front porch w/decorative columns. 2 additions on side & rear. 1 addition is a large master suite w/sitting area plus handicap accessible MBA w/step-in shower & grab bars. Eat in kitchen w/SS appliances. Large FR w/woodstove in FP. Multi level deck overlooks level back yard w/2 sheds.